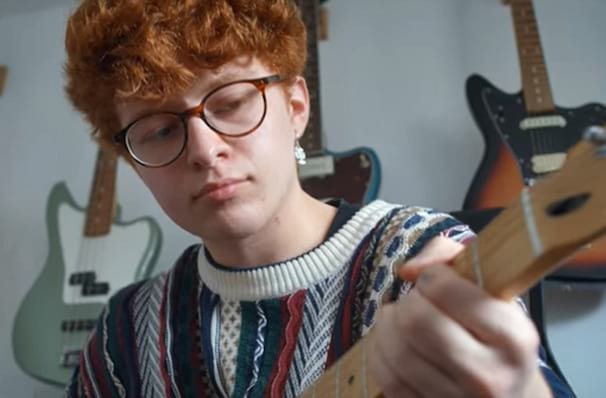 Cavetown is the musical project of Robin Skinner, a 20 year old from the UK who has been writing and producing music since his early teens. His brand of heartfelt acoustic pop has seen him amass a huge following on social media, with his Youtube account currently boasting over half a million subscribers. Never one afraid to experiment with different genres, his fans have watched him grow over the years by incorporating folk and hip hop influences into original tracks like 'Lemon Boy'. 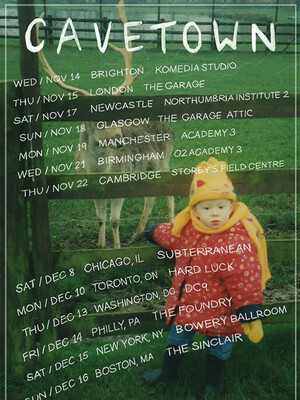 Catch Cavetown performing original material, as well as covers (he's covered everyone from Neutral Milk Hotel to Twenty One Pilots) on these select number of North American tour dates. Seen Cavetown? Loved it? Hated it? Sound good to you? Share this page on social media and let your friends know about Cavetown at The Crowbar. Please note: The term The Crowbar and/or Cavetown as well as all associated graphics, logos, and/or other trademarks, tradenames or copyrights are the property of the The Crowbar and/or Cavetown and are used herein for factual descriptive purposes only. We are in no way associated with or authorized by the The Crowbar and/or Cavetown and neither that entity nor any of its affiliates have licensed or endorsed us to sell tickets, goods and or services in conjunction with their events.